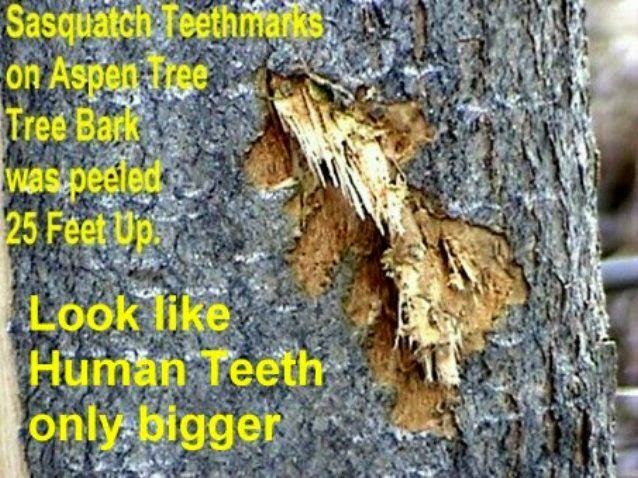 Is this bigfoot teeth marks? 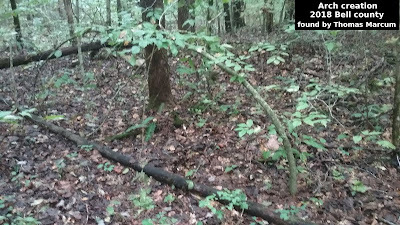 This Photo was taken two hours after this was first found. In that two hour period the exposed wood fiber had already darkened. Therefore two hours earlier this was incredibly fresh indeed. These teeth marks did not look like they belonged to any wild animal that I know of. They were perfectly clear, and when looking inside the marks the individual teeth were clear as could be, and even the different shapes of each individual tooth’s crown could be easily seen. I am positive that this is not the bite mark of any known animal. It appeared in every way to be a bite from human teeth except for being larger, and a bit more flat, less jaw curvature, across the very front teeth, also the teeth were very large. 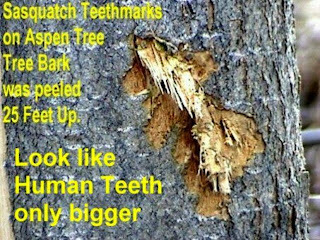 I am very familiar with the teeth of Moose and Deer, Porcupines, Beaver, and other large animals that reside in the interior of BC. At the time someone had suggested to me that this could be marks made by someone attempting to place a tree stand. I don't know if that would be possible or not, but find the marks pretty interesting. Has anyone else seen anything like this? If so let me know.